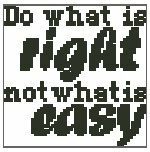 From the artwork of Chele Cooke, Mini Do What is Right is an outline cross stitch chart measuring 50 stitches wide by 50 stitches high and, it has been designed for you to use whatever colours you choose. 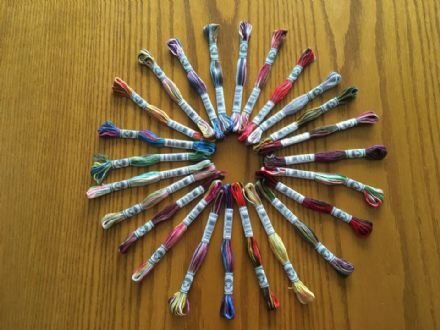 If stitched as charted all in one colour, it is estimated that you should only need 1 skein of thread to complete it. This pattern is perfect for hand dyed fabric and thread. This chart is made up of full crosses only. The image shown is the software generate mock up of the chart. 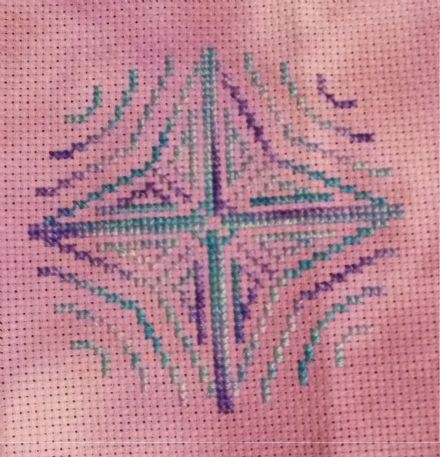 If you have stitched this pattern and would like your work used as the product image, please email Kim at KLTcharting@gmail.com with a picture.